Key West will give our nation’s finest a helpful lift on the first weekend of 2018. The nonprofit veterans’ service organization Wounded Warrior Project will return to Key West for its annual Soldier Ride on Saturday, Jan. 6. 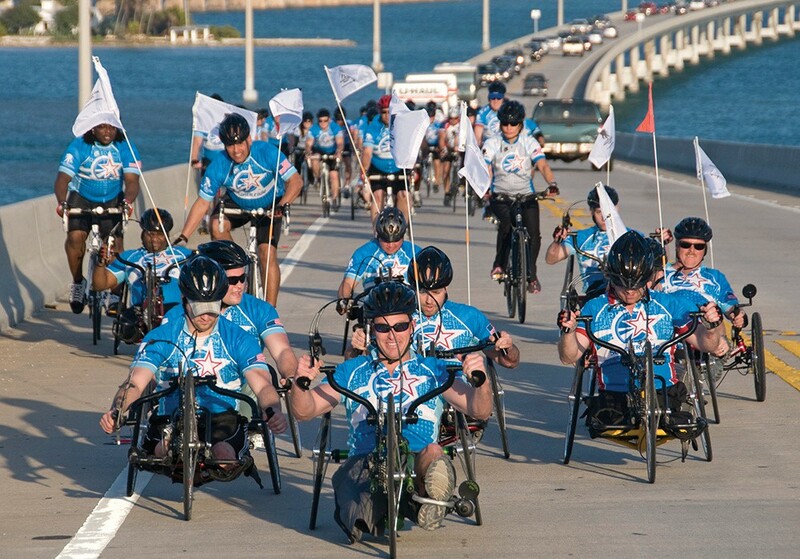 The ride is a rehabilitative event in which combat-wounded veterans bicycle from the Boca Chica Naval Air Station to the Veterans Memorial at Bayview Park alongside supportive friends, family members, and caregivers. 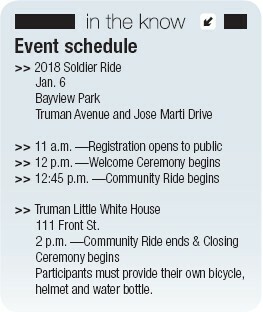 After the welcome ceremony, the Soldier Ride will travel from Bayview Park to the Truman Little White House. A $20 registration fee allows participants the chance to aid the Wounded Warriors Project’s mission to help heal the physical and psychological wounds of war. A commemorative T-shirt is included with registration. 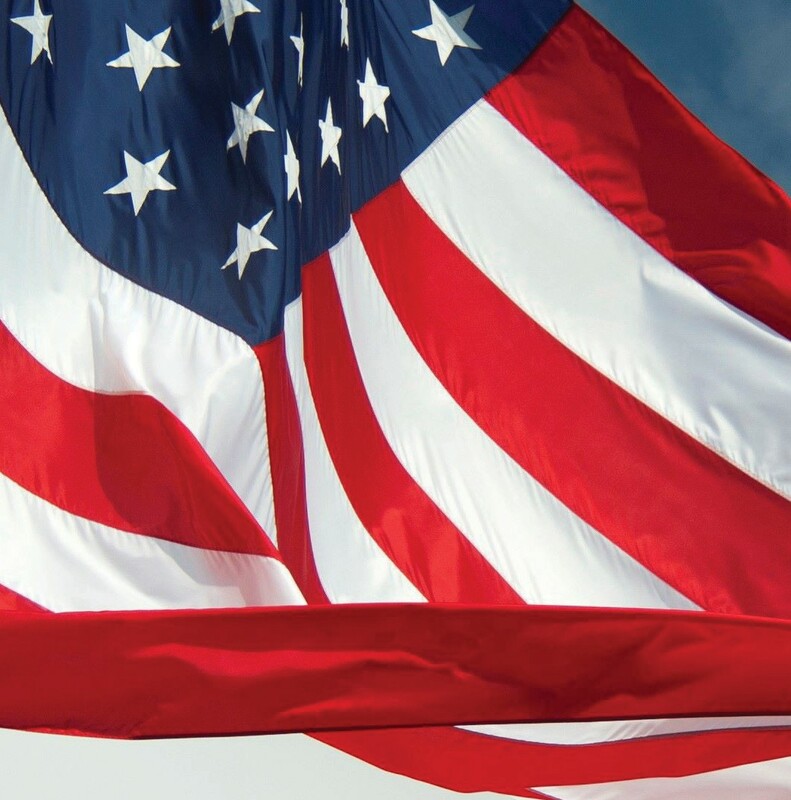 Since the group’s inception in 2003, the Wounded Warrior Project has helped about 100,000 veterans through programming that includes mental health support, physical therapy, employment services, peer mentoring and coordinated efforts with nonprofit groups such as The American Red Cross. 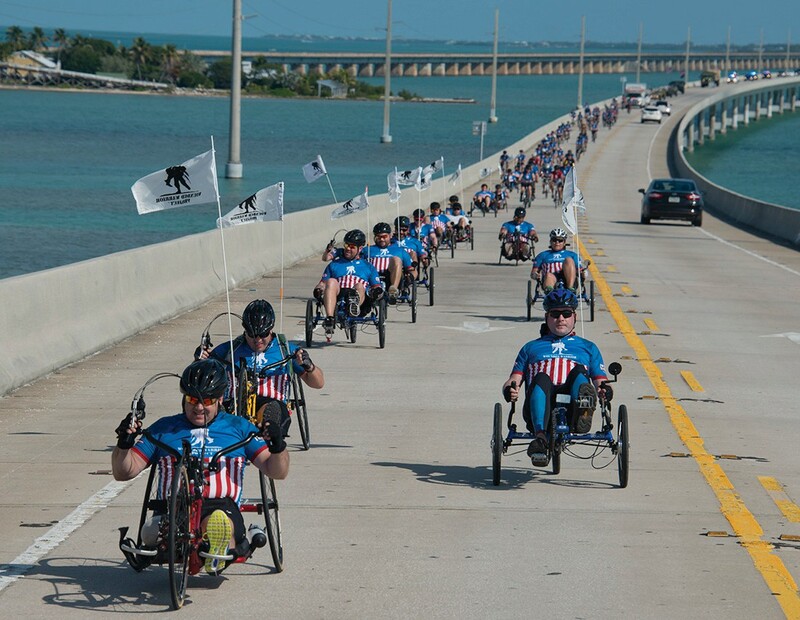 Its annual Soldier Rides, which range from epic four-day adventures to single-day celebrations, are performed in cities nationwide and proven to be a successful outreach program for the Wounded Warrior Project, with participation by the group’s “warriors” hovering around 1,600 per year. Key West, which boasts a sizable military population, looks forward to its annual community ride with the Would Warrior Project since the program’s inception 13 years ago; the ride allows locals, visitors and the program’s participating veterans and caregivers to build camaraderie and physical fitness, both of which the Wounded Warrior Project believes are therapeutic to veterans attempting to reintegrate into civilian society after their service. The adage “just like riding a bike” can prove especially poignant to veterans whose war injuries prevent them from riding traditional upright bicycles, or whose post-traumatic stress makes participating in large group activities or social gatherings particularly painful. The Soldier Ride aims to give veterans a safe space in which to reclaim feelings of pride, accomplishment, inclusion, and encouragement; those unable to ride upright bikes are encouraged to participate with recumbent or hand-powered bicycles, while those suffering from post-traumatic stress often comment that the endorphins released from the ride’s physicality, paired with the opportunity to once again be surrounded by fellow soldiers who possess an understanding of the difficulties of war and reintegration, are especially therapeutic. The bonds forged between soldiers during warfare are largely the result of having to adopt a radical altruism that, outside the battlefield, may be confusing or strange to civilians. They are conscripted by duty to live by a different set of rules than those adopted by their non-military friends and family. In her 2016 book “Strangers Drowning: Impossible Idealism, Drastic Choices, and the Urge to Help,” writer Larissa MacFarquhar writes that “… in war, what in ordinary times would be thought weirdly zealous becomes expected. In ordinary times, to ask a person to sacrifice his life for a stranger seems outrageous, but in war it is commonplace.” A return to society with different priorities can prove deeply distressing to soldiers, something that the Wounded Warrior Project has worked tirelessly to bring public attention to. After a tumultuous 2016 that saw both its CEO and COO fired over allegations of inappropriate spending, the Wounded Warrior Project is attempting to increase transparency, mitigate wasteful spending and double down on its most effective therapeutic services — with an emphasis on mental health —in 2018. The group has also announced their intention to shed light on what officials feel is an egregious flaw in the current health care premiums charged to veterans; at present, the most seriously injured veterans are often forced to pay up to 400 percent more in premiums than their lesser injured comrades.